Talk about tradition - this much loved "Cottage by the Sea" has been in the same family for 84 years! 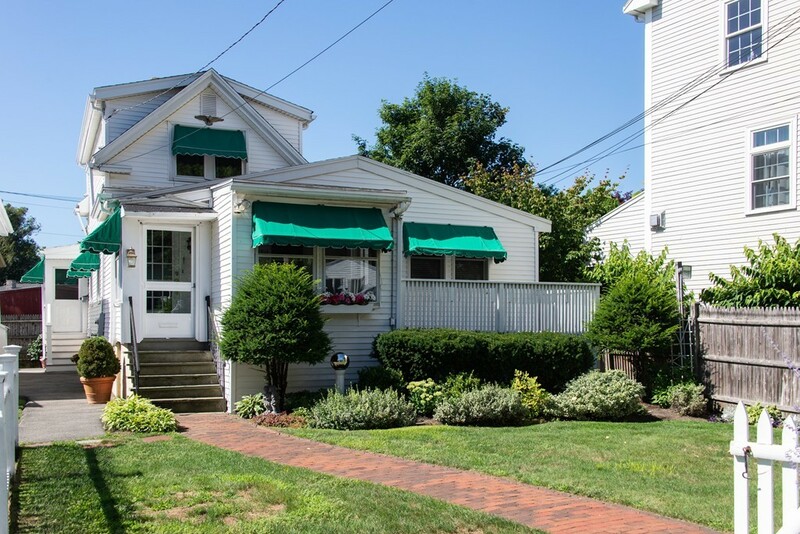 Generations of this family have lovingly maintained the property and enjoyed all the benefits of the in-town location and proximity to the ocean/harbor/beach/town pier. To make life easier, the bus to Boston and Marblehead stops right out front. The heart of the home is the large kitchen which opens to the living & dining rooms. Also on the first floor, the master bedroom with bathroom, laundry, office area & enclosed heated porch. Upstairs there are 2 bedrooms and another full bathroom. 2011 gas heating/hot water systems run less than $1K/year. House roof 2010. Shed roof 2014. Abundant storage throughout home. Outside enjoyment on the 2 decks, patio and well tended gardens within the fenced yard, 4 car parking. 1890's shanty accessory building with unfinished interior now used for storage. Any further use would require ZBA approval.